Lions and tigers and… baked bears! 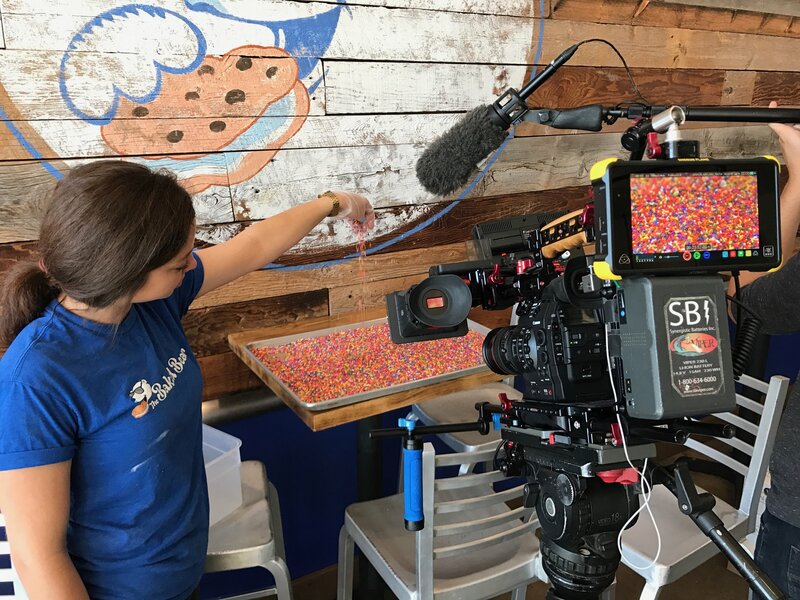 Citizen Pictures wanted to highlight awesome ice cream creations across the nation for Food Network’s ice cream week, so they had a crew go to The Baked Bear in San Diego. The Baked Bear was founded by childhood friends who wanted to “treat” their hometown to great desserts. It has now exploded into 17 franchises. They assemble gigantic ice cream sandwiches with original recipe cookies and ice cream flavors that customers can mix and match, post to Instagram, and then devour. The employees were very helpful and upbeat during this shoot and the customers were happy to taste test for the many shots we needed.